A couple of weeks ago, shortly after my 28th birthday, I wrote about how I was making a small change in my effort to get back on track to getting healthier after a derailment in the past year or so. You can read about my change here, but long story short, I decided to cut back on my out of control fast and processed food consumption to just twice a week. Since it’s now been a couple of weeks, I wanted to give you all an update about how things were going. I’ll admit that in the beginning, it was really difficult to start eating less processed food. It’s not that I was craving those foods, but they have always been a go-to for me when I don’t have a lot of time to cook, or am just too tired to deal with it. But, I stuck it through and cooked most of our dinners. The couple of times we did eat out, I made sure it was at a restaurant that served real food, save for one Arby’s splurge. After getting over that hurdle, it’s become easier and easier to eat more natural foods again. Instead of using sugar or flavored creams in my coffee, I stick with milk and/or cream and honey, adding a tablespoon of high-quality chocolate chips or cocoa when I want to indulge. I’m still not a huge breakfast eater, but sometimes I’ll have some bacon and eggs or berries. For lunch, instead of sandwiches on store-bought bread or canned soup, I’ll have salad, lettuce wraps or leftovers from the night before. For dinner, we’ve been having meat with whatever seasoning we’re in the mood for along with a couple servings of veggies like stewed cabbage or steamed broccoli and cauliflower with butter. One night I had the idea to panfry our chicken (unbreaded) in that morning’s leftover bacon drippings and it was SO delicious! Perhaps my biggest hurdle was not indulging my sweet and savory teeth, especially since that lovely time of the month started going into the second week. I’ve found cocoa powder mixed with yogurt or whipped cream sweetened with honey to be a magical thing for a chocolate fix, though! Nuts have also become my favorite snack; I’ve been really enjoying the pistachios I received from Puritan’s Pride. Can you believe it was actually my first time trying them? I think the most important thing for me is to always make sure an indulgent food like a candy bar or chips is really what I want to eat and if it’s worth it. I’ll be the first to admit that stress eating, emotional eating and even mindless eating while at the computer or watching TV have been the biggest culprits to my unhealthy habits over the years. 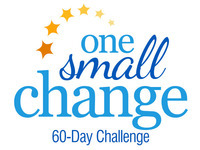 So, did the one small change over the past 2 weeks really make a difference in my health? I have to say I think they did! At the beginning, my sleep schedule was all sorts screwed up. But over the past 2 weeks, I have found myself being able to go to sleep earlier and thus wake up earlier as well. This helps me feel so much better throughout the day, not to mention feel much more accomplished since I have more daylight hours to work. I also feel less moody and likely because of sleeping better, find myself having my old sense of humor and laughing more, which is a great feeling. Perhaps the biggest change for me, though, is my digestive health. Before, I was having more and more issues with indigestion and heartburn, more frequent bathroom trips, etc. You get the idea. It’s not a fun feeling, especially trying to sleep at night but you’re downing antacids instead. A couple years ago when I started eating healthier originally, I went over a year without having to use antacids. I think just how much my digestive system is affected by processed foods really hit home when the other day I had some potato chips for one of my twice a week treats because I wanted something salty and it had been months. Let’s just say it took a couple days for my digestive system to recover from that one, including indigestion. 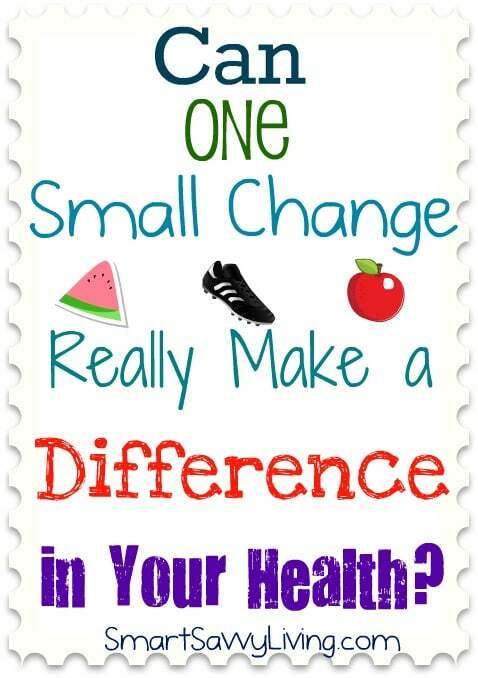 Have you been making one small change to make a difference in your health over the past couple of weeks? If so, I’d love to hear about your progress! « What’s All this Meowing About Cat Bearding and Cat Litter?